We take care of all aspects of looking after properties, including the hassle! 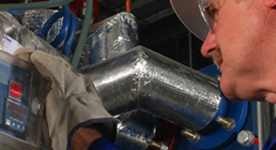 This covers operational issues from legal obligations to planned maintenance, boundary disputes to business rates. As full-service corporate property consultants, whether we have helped you to acquire your commercial premises or whether you have been established for many years at the same address, at Edward Preece & Co we can take care of all aspects of managing your property portfolio, whether it is one building or many. Our clients are often multi-site businesses without skilled property staff, but they do recognise the benefits of the expertise and support these would provide. By Edward Preece & Co working as your own property department, we are a scalable resource, depending on your needs at any particular time. Alternatively, if you have an existing property team we can provide expert advice, giving them a wider, industry viewpoint and enabling them to respond effectively. We deal with the day-to-day and ongoing property issues arising from owning or occupying property. Planning in advance for key events or obligations – ensuring there are no nasty surprises! Efficient management of your property portfolio will ensure maximum returns for property owners. Edward Preece & Co can take care of all aspects of property management – taking away all the hassle for your company and leaving you to focus on the important issues facing your business. 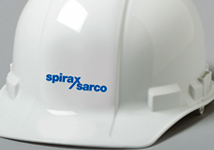 Spirax Sarco Ltd is an international designer and manufacturer of steam related plant and technology. Edward Preece & Co support the senior management on issues arising from their property holdings. This has included overseeing the disposal of two surplus manufacturing facilities located in the centre of Cheltenham and ongoing acquisitions to secure additional manufacturing and warehouse accommodation. If you have a query not covered on our website please let us know.